Ready to place on the tabbletop! 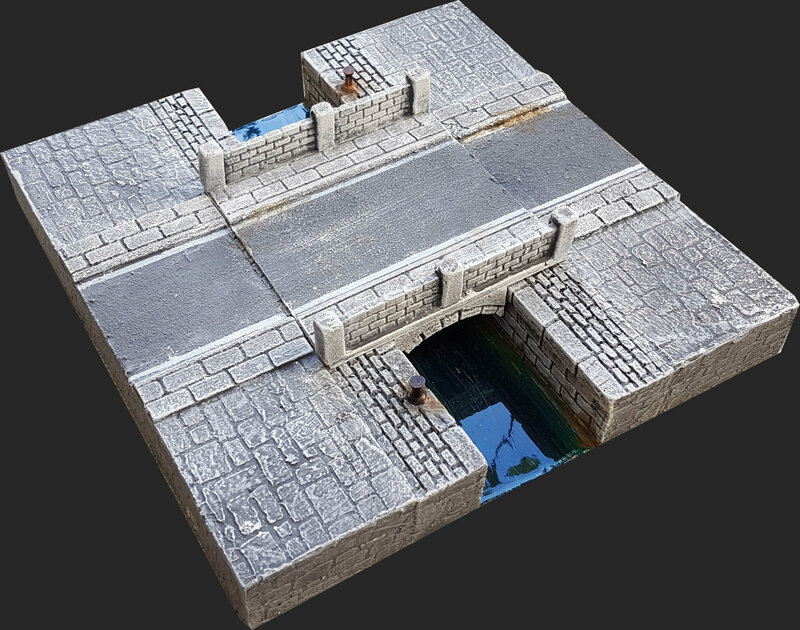 Made from High Quality Resin, and beautifully painted, this Asphalt Bridge enhances your City Canal Tiles, allowing you to connect Modern asphalt roads on Road Overpass canal tiles. The bridge is flat with asphalt road and a span of 12cm and a width of 13cm (road width of 7cm). Buttress height is up to 2.5cm. In case you have opted for 28mm wider roads on your sets and Canals, the bridge becomes 21cm wide (14cm of asphalt road width). THIS IS AN ADD-ON - IT ENHANCES A RIVER OVERPASS MODERN CANAL TILE! The Set includes 1 modular Prepainted Asphalt Bridge, specifically designed for City Canal Tiles. Great for Warhammer 40K, Bolt Action and Flames of War wargames, as well as modern role playing game sessions.